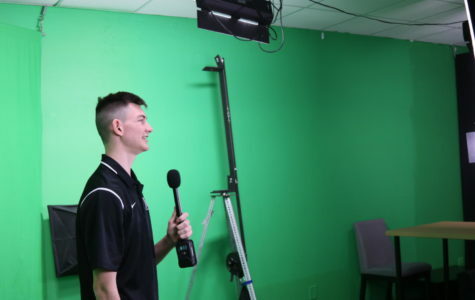 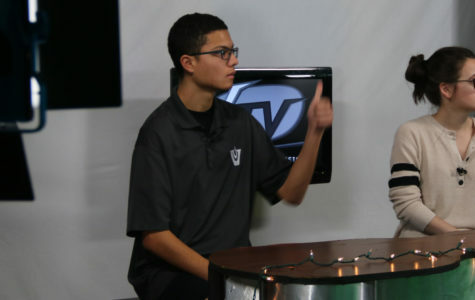 Senior Jasper Tripoli discusses camera set-up with broadcast teacher Mr. Ellis. 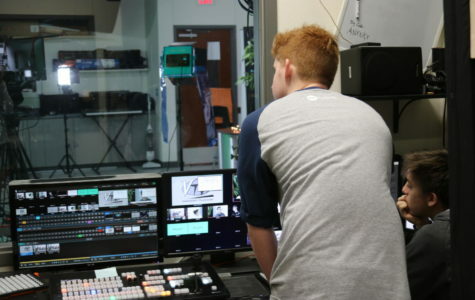 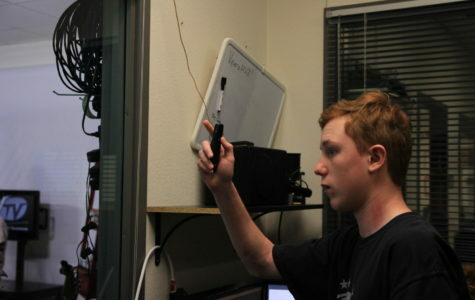 Audio/Video Production 2 students usually run the weekly PIT stops, but not this year. 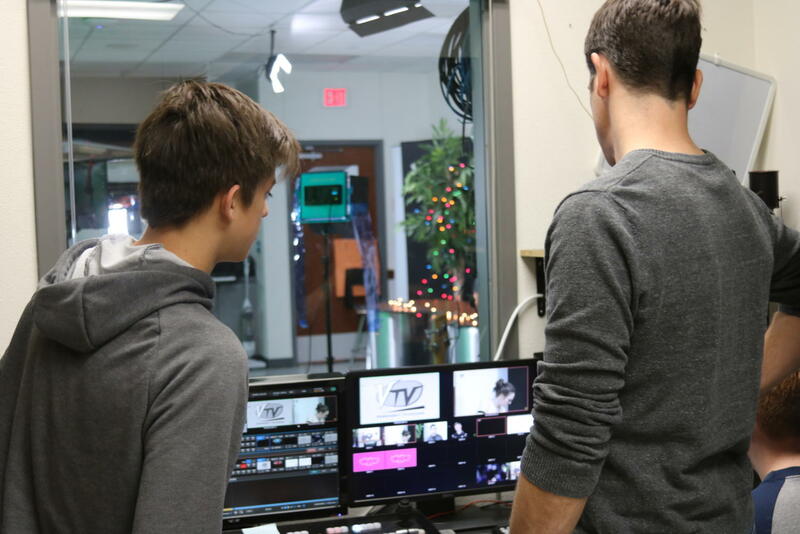 While A/V 2 students work on their podcasts, some A/V 1 students film the broadcast. 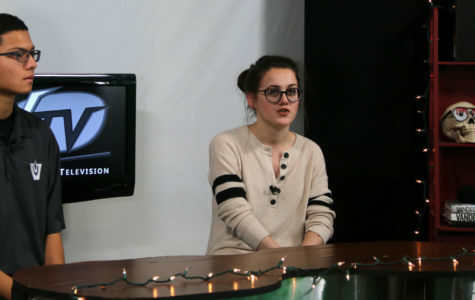 Click on each square to get to know the students in the studio, and view the PIT stops here.